Please know, if you choose anything other than monthly you must note at checkout. You may pause or cancel at any time with 48 hours notice prior to your re-order date, which is on the same day each month. These statements have not been evaluated by the FDA. Complete Ascentials products are not intended to treat, diagnose, cure, or prevent disease. Always seek professional support from your physician if you have a health issue, or concern about what is best for your well-being. Results may vary. Want More Information About DNA Evolve? Step 1: For more information about Complete Ascentials DNA Evolve, please read our article here. Step 2: Register for The Webinar Below! 75% of all supplements on the market have been found to be ineffective and contain toxic impurities. Fortunately, a few companies do things right. Complete Acentials provides a boutique Complete Ascential Kit that offers maximum value and extraordinary savings! The “gold-standard” in quality and support for taking complete control of your health – The Complete Ascential Kit. This kit is perfect for anyone who is serious about getting the highest quality value at the best price. Complete Ascentials does not use health gurus or testimonials to persuade your buying decision. Instead, our research and development team invests in sourcing the finest, ultra-pure ingredients. 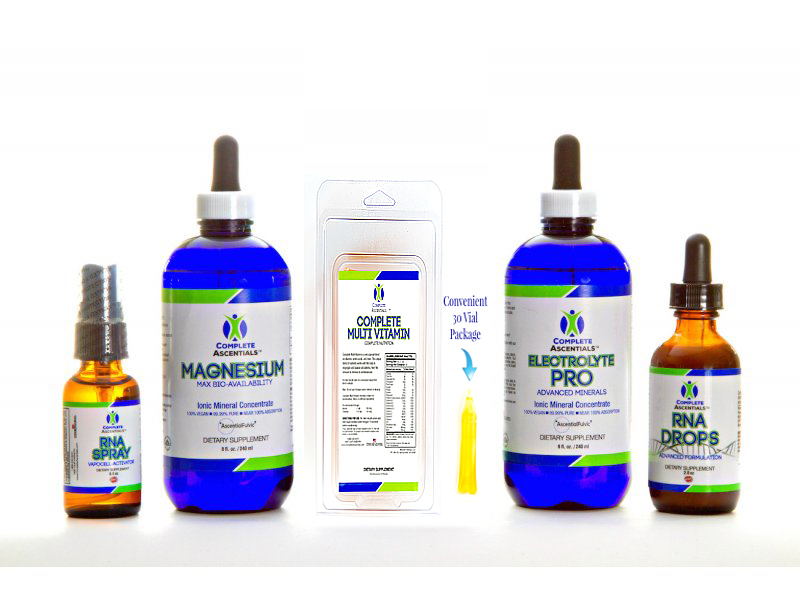 Then we use cGMP manufacturing and always provide a world-class product, intelligently-designed kits to support well-being, and cutting-edge science goes into every aspect of our product development. Your experience is going to be unique to you. Experience our Complete Ascentials Kit and feel the difference! Take advantage of our VIP auto-advantage program and lock-in the price of this kit and get the best price available — shipped right to your door every month. Click here for more information. * Auto-ship delivered to your door every 30-days. Choose a kit and save! * Maximum value and savings. * 12-month agreement with ease of cancellation. We also offer a grace-period allowing for a 3-month suspension within a 12-month period, to maintain a locked-in discount price. Call us with questions: 1.888.550.8231 9am-4pm CST (Monday-Friday). Note: listen to the audio below to see if you qualify. * These statements have not been evaluated by the FDA. Complete Ascentials products are not intended to diagnose, prevent, cure or treat disease. Results may vary.